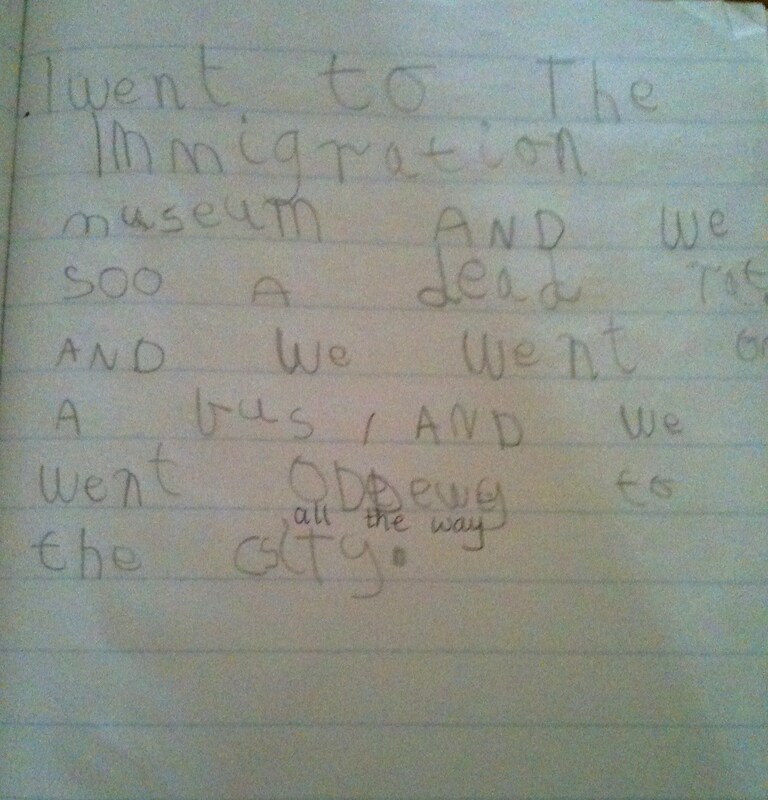 A very quick post because I’m writing school reports and I’m sorry about the photo quality… This is my Preps first year of schooling, most are 5 years of age and a small number are 6 years old. 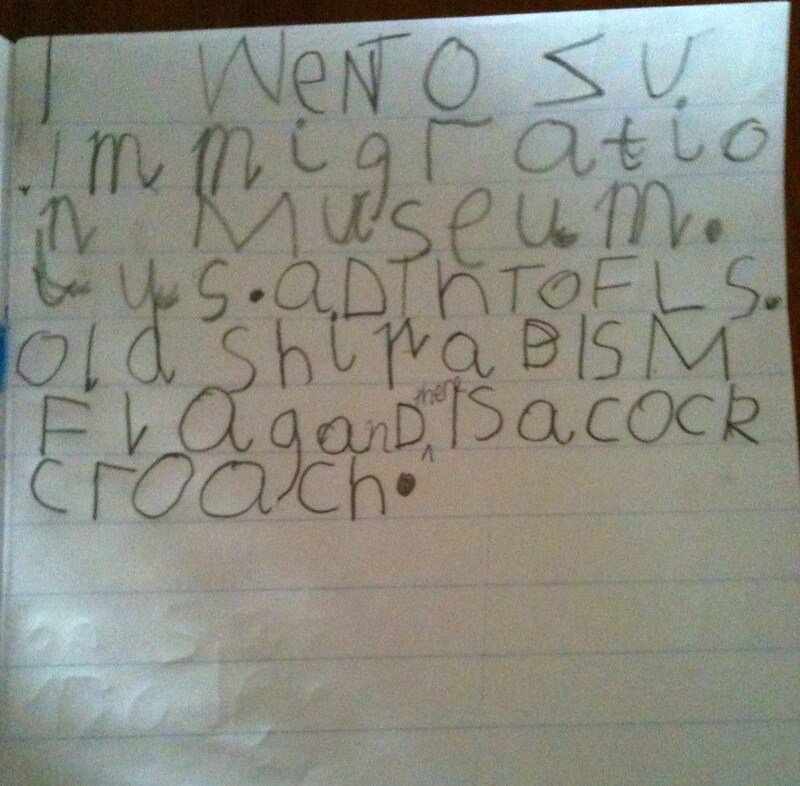 Some of my 5 year olds have only recently turned 5. This puts their writing development into perspective. 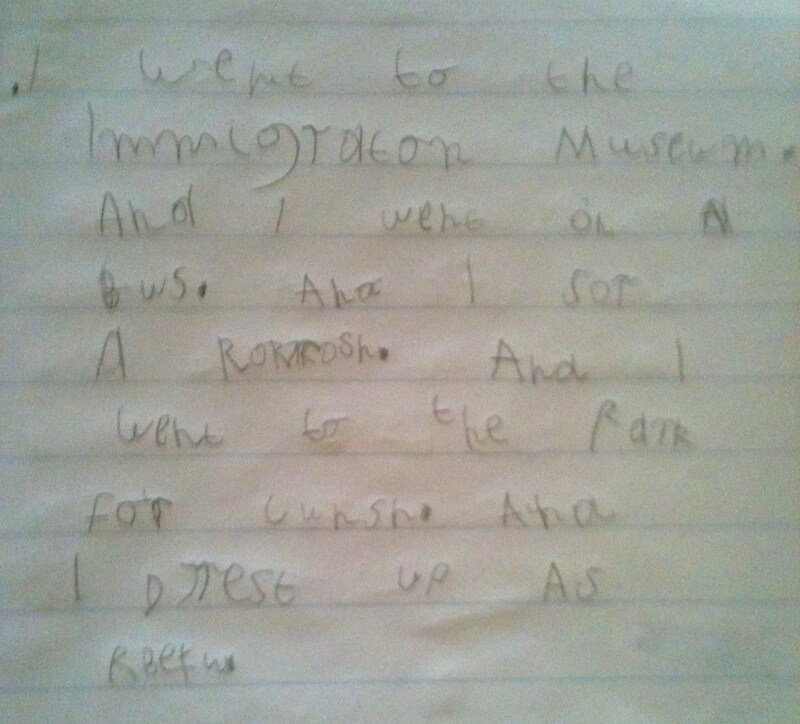 My Preps have just been on their first major whole day excursion to the Immigration Museum in the city. 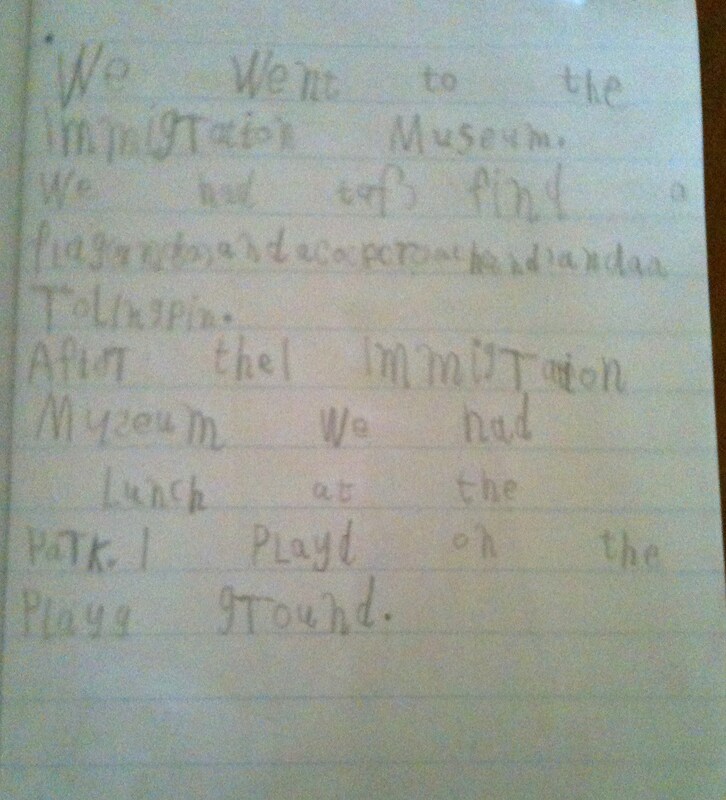 I’ve uploaded their independent writing about the day. To help them remember to put spaces between the words they used a small circular maths counter. 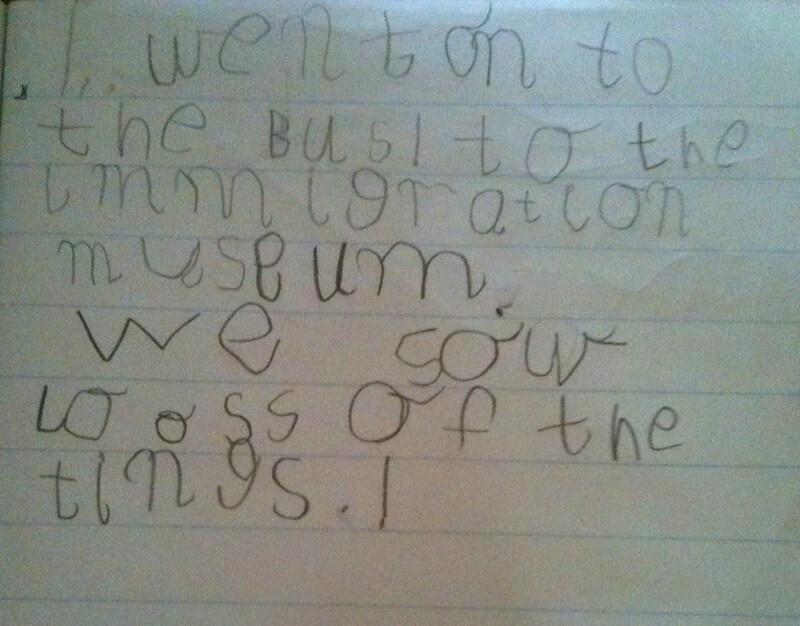 This was perfect and didn’t interfere with their writing. This was so successful that my children will continue to use the space counter. 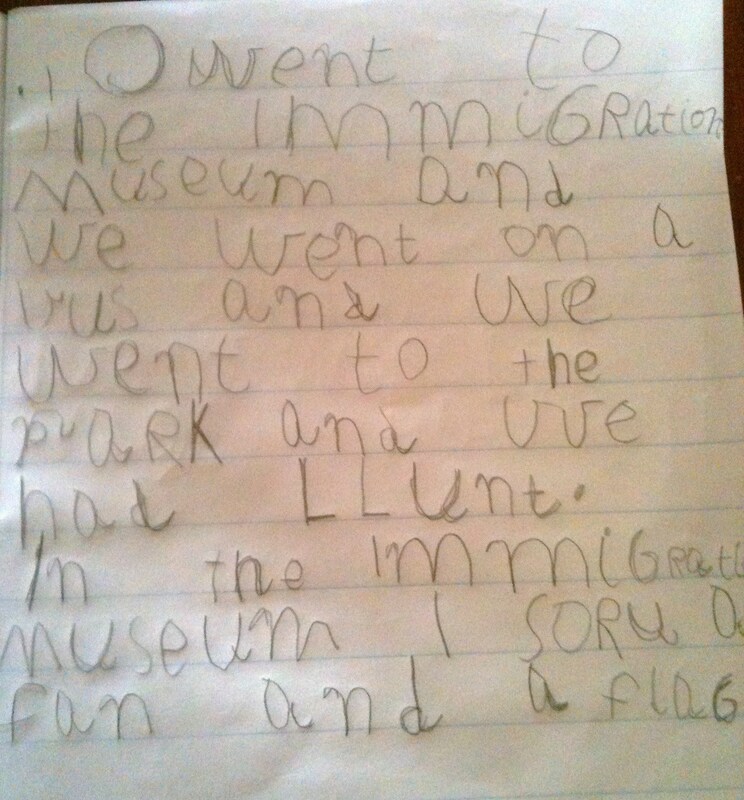 Their ‘freebie’ word for this writing piece was ‘Immigration Museum’. My Preps are using their knowledge of sounds and our THRASS chart when writing. I’m really excited by their progress. 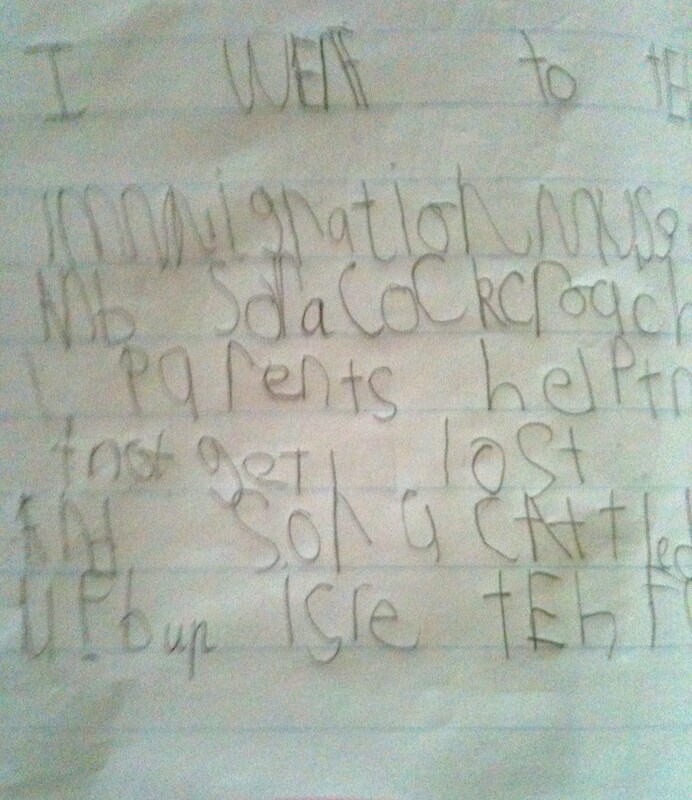 Each child is on their own journey and all are moving forward.